Welcome to Fmsf Learning Systems ! FMSF Learning Systems is an interactive online learning platform for individuals working in the not-for-profit sector as well as those interested to join the sector. This online platform aims to break the barriers of distance & provide training to all those who do not have access to structured training programs in the areas of financial management; legal compliances; governance; and planning, monitoring & evaluation. Registrations are open for the 13th Batch of NPO Governance Programme. Session starts in Nov 2018. Hurry! Registrations are open for the 18th Batch of DFMA Programme. Session starts in Nov 2018. Hurry! Registrations are open for the Batch 2 Year 2018 of Certificate Course in Planning, Monitoring and Evaluation. Session starts in Nov 2018. Hurry! 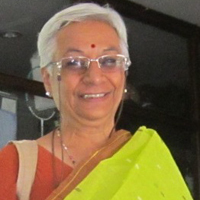 Dr.Vidya Rao, Trustee, is Emeritus Professor of the Department of Social Welfare Administration at the Tata Institute of Social Sciences, (TISS) Mumbai. She has done her Master's in Social Work from University of Michigan, USA, and has done her PhD (Social Work) from Tata Institute of Social Sciences. She has taught on various topics including management of non-profit organizations, poverty alleviation, public welfare policies and programmes, social policy and planning, voluntary action in development, urban and rural local self-governance and many other topics. Prior to teaching, Prof Rao worked as social worker in crisis counseling centre in the USA for four years and was the CEO of a voluntary organization – New Residents’ Welfare Association in Chennai that had 300 employees working in 32 slums along with the Tamil Nadu Slum clearance Board, Government of Tamil Nadu. She has also co-authored Futuristic strategy chapter titled “Human Resources Development of the Weaker Sections” in the Maharashtra Development Report as part of Vision 2020. Prof Rao has conducted more than 75 training programmes for government and NGO functionaries on various themes. Dr. Manoj Fogla is a development consultant who has been involved in the Voluntary Sector since many years. A Chartered Accountant by qualification, Dr. Fogla specializes in financial evaluations & reviews of development programs. He has also has authored several books on Governance, Financial Management, Legal & Taxation aspects of NGOs. Some of the books have also been published by Taxmann Publications. He has also authored the ‘Social Accountability Standards for Voluntary Organizations’, ‘Comprehensive commentaries on FCRA 2010’ and ‘Finance and Legal Handbook for NPOs-4th Edition’ to name a few. He has been the resource person for various trainings and workshops on Governance, legal & financial management issues pertaining to the Voluntary Sector both at national as well as international level. Ms.Rosemary Viswanath B.Sc. (Hons) Mathematics (St Stephens College Delhi University), P.G.D.M. (Indian Institute of Management, Bengaluru 1982-84). 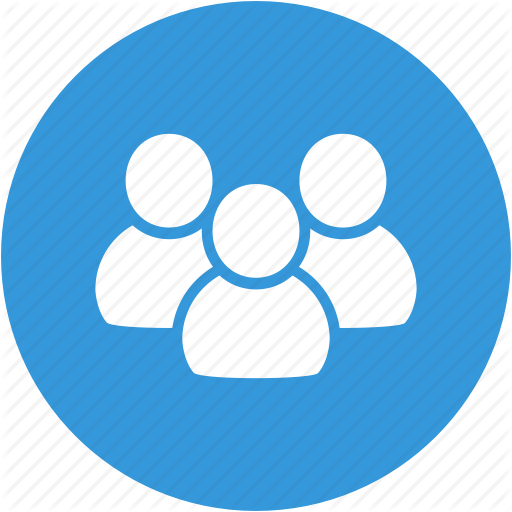 Rosemary is the Founding Managing Trustee of Group Relations India (2013 onwards) www.grouprelationsindia.org which focuses on understanding dynamics at the level of groups and systems with particular attention to unconscious processes, roles and finding ones authority to lead. She is also Founder Director, Learning Network, an Organisation Change Consultancy (since 1996). She is also Professional Member, Indian Society for Applied Behavioural Science (since 1991). Rosemary’s professional identity for the last 30 years or so is of a strategy, leadership and organisation change consultant with a deep commitment to the development sector and issues of human dignity, human rights and the sustainability of this planet. Her work in consulting to various systems has focussed on how they develop their work by thinking more systemically and strategically and how they then design and align their organisations systems and process including the PME systems to deliver on their outcomes and impacts they wish to see. Her work in India and internationally is with large networks, movements and federations, the government, and with some corporate organisations. She is on the Board of several non- profit trusts and foundations. In the period 2005-2012, she was also in a operational role as Director of a national research campaigning and policy advocacy organisation EQUATIONS (www.equitabletourism.org) that engages in the impact of tourism policy and development on local communities. Mr. Martins is a Fellow Member of the Institute of Chartered Accountants of India and a Fellow Member of the Institute of Company Secretaries of India. He is an Honours Graduate from Delhi University and an alumnus of Sri Ram College of Commerce, Delhi. 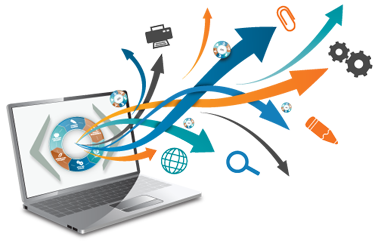 He has established a leading firm of Chartered Accountants named M/s J. A. Martins & Co. with renders comprehensive and specialized services, which include audit; legal compliances especially with regard to income tax, service tax and the Foreign Contribution (Regulation) Act; incorporation of entities; capacity building; financial accompaniment services; governance and financial evaluations and strengthening of local institutions through design of financial systems, manuals and facilitating their implementation. The firm has over twenty years of experience with specialization in the field of charitable institutions, educational institutions, hospitals, development organizations and the non-profit sector. 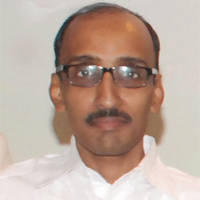 Dr. Sanjay Patra has experience of 25 years in the Voluntary & Development Sector. He is currently the Executive director of the Financial Management Services Foundation (FMSF) and has served with this organization since 1998. He is actively involved with many other national as well as international organizations and renders his services to them in various ways. He specializes in the areas of Financial Management, Legal Issues, Governance, and Transparency & Accountability related matters pertaining to the Voluntary Sector. In the year 2005‐07 he was a member of the Task Group formed by the Planning Commission for drafting policy on the Voluntary Sector. Dr. Patra has authored books on financial audit & has written several articles in various journals as well. He is also a visiting faculty for Birla Institute of Management Technology (BIMTECH), Greater Noida and Haggai Institute, Singapore and Hawaii. He has also undertaken various evaluation assignments of development projects across the world. 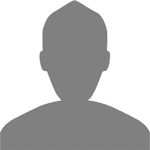 Suresh Kumar Kejriwal is a practicing Chartered Accountant from Kolkata. He is working with NGO sector since last more than 22 years. He is working both for NGOs and also on behalf of resource sharing agencies in India as well as in Bangladesh and Nepal. He has facilitated the process of formulating guidelines for the financial management system for NGO sector in Bangladesh and also for NGOs in India on behalf of resource sharing agencies. He is also one of the team member for the formulation of common accounting guide for NPOs for eight Asian countries including Bangladesh, China, India, Indonesia, Pakistan, Phillippines, Thailand & HongKong. Ms. Anke Schuermann holds a Diploma in Nutritional Science and a post-graduation in Rural Development. She has 20 years of project management experience, 16 years out of which were spent in India. While she coordinated various complex poverty alleviation programmes across India, monitoring and evaluation of achievements and impacts was a core task together with Indian NGO partners. She is an expert in outcome and impact orientation and has published a handbook on participatory impact orientation. During the last 10 years, Anke Schuermann has trained many Indian and international teams on topics related to planning and monitoring and carries out impact assessments and impact evaluations. Anke is German but works and lives in India since 1998. 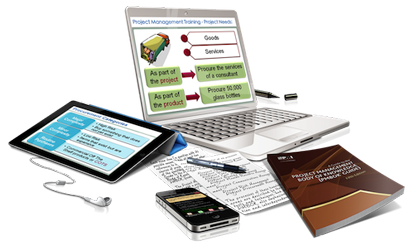 Eswara is an experienced process and institutional development consultant and coach. His consultancy expertise includes institutional strengthening, organization development, gender relations and rights orientation, leading evaluations in the areas of Human Development. Forestry, Mental health, tribal welfare, Education, etc., setting up results-based Management Systems and helping government departments and non-profits to become evaluating organizations. His high level of expertise is developed from over thirty five years of international consulting, research and coaching experience. He was formerly Senior Advisor Institutional Development, UNDP, and Consultant Advisor, for setting up Results Based Management System, for Forestry Department Tripura Government. He was formerly Fellow, the VV Giri National Labour Institute. He holds a Ph,D (JNU). in Economics and Advanced Organisation Consultation Qualifications from the Tavistock Institute, London. 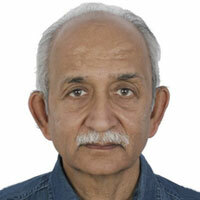 He is a Professional Member of Indian Society for Applied Behavioral Science and a certified Coach. He is the author of four books and several articles. 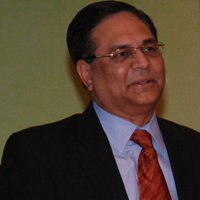 Mr. Sharma has an extensive experience of working for the development sector. He is an MBA in Finance with specialization in Rural Finance and Management. He has provided consultancy services to numerous Indian and International agencies such as Axis Bank Foundation, Essar Group Foundation, IDEA Foundation, Tara Society, Sphere India, Marie Stopes India, Population Services International, PRADAN, Reach India, BftW, ICCo, NETZ, CBM, kindermissionswerk(KMW), Dan Church Aid, Denmark, DFID, MISEREOR, Geneva Global Inc, British Red Cross Society, cbm, Welthungerhilfe, OXFAM, Christian Aid, Wider Vision Foundation, Cordaid, Save the Children, Solidaridad Network, etc. for conducting Financial reviews and evaluations, Financial monitoring, System reviews, Accompaniment process and Financial Investigations of donor funded projects in India, Nepal, Bangladesh, Myanmar and Sri Lanka. One of his core competencies is in the area of training and facilitation. Further, Sandeep has undergone master trainer’s course from Mango, UK. He has also conducted more than 200 trainings & workshops for development organizations.